Garages are one of the most likely places where a fire could start. You might think your kitchen would be a dangerous place that a fire could quickly turn up but contrary to belief your garage is even more dangerous. Assuming you have a vehicle or two parked inside your garage. The danger of having a hot engine that just recently parked can ignite if oil were to drip on it. Also, if you store paint thinners with rags, it can spontaneously ignite, leaving you with an out-of-control blaze that could potentially burn down your entire home. Luckily, fire rated doors have been created for homes to address that issue. Many garages are connected to the inside of the house. They need to be able to withstand large amounts of heat if a fire were to suddenly erupt. All of that pressure could equal to an explosion or can gobble up the entire wood fixtures in the house quickly. Fire doors were tested to withstand the high temperatures and pressures of a fire. You can purchase them in time increments – for example, a 20-minute door or a 60-minut door – are available. If you live in dry weather, your garage is even more prone to a fire occurring. Although fire rated doors are safe and will ultimately provide more security against the heat, it is recommended that you do not rely on them to outlast every single type of fire. It was designed with safety in mind in that people will be able to escape a burning building. Purchasing a fire door is a wise investment that will protect your household and provide an extra security blanket for you and your family. Modern doors can be sturdy and stylish but can be dangerous when a fire is trapped on the other side of the door. Installing a fire door in place of your regular interior door will maximize the security of your house when it comes to a fire risk. If you consider safety as your number one priority, consider installing a fire door. This is especially important for areas that have blazing heat conditions. All of the dry weather can take a toll and leave your garage sweltering and prone to a fire starting. Visit your local door manufacturer today to receive a quote on the many fire rated doors available today. Keep your home as safe as possible. If you are at risk, then upgrade to the safest option on the market today. If you live in an apartment, condo or small home, you are likely dealing with space issues when it comes to your home decor and layout. This can even be the case for smaller rooms in larger homes. In many instances, you are struggling to find space inside of rooms for furniture and interior design pieces. This can mean that you have less space than you would like for interior doors that swing into the room. But this doesn’t mean that you have to live with cramped quarters. There are plenty of interior door styles that are ideal for small rooms. If you choose the right interior door, you’ll be able to free up more space and make the room seem bigger than it is and few interior door types give you more freedom of space than pocket doors. A pocket door is a type of sliding door that goes completely into the wall when it is opened. It can be pulled out of the wall by a hook or latch when it is time for the door to be closed. A pocket door is a great option if you don’t need a door that locks or has a lot of sound-proofing qualities. For example, they are often used to separate the kitchen from the dining room. Another reason that pocket doors are such a popular choice is that they are great at helping to improve airflow and reduce heating and cooling costs. 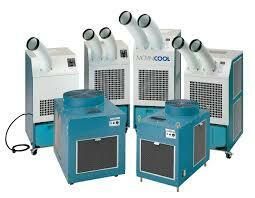 They can be easily opened and closed if you want to keep certain parts of your living space extra cool or warm. Depending on your home, opening and closing your pocket doors can allow you to reduce or even eliminate your use of air conditioners in the summer or heaters in the winter. Pocket doors are more than just a practical solution to not having enough space in a room. They are also stylish choices that can add flair and character to any room. One of the best things about pocket doors is that there are so many different styles of doors to choose from that perfectly fit your home decor. For example, frosted glass pocket doors can help to add a level of privacy to a modern home. You can also choose a traditional wood door that integrates seamlessly with a more traditional architecture and design motif. With pocket doors, there are no limits to you ability to use your interior door to accentuate the look and feel of your home. 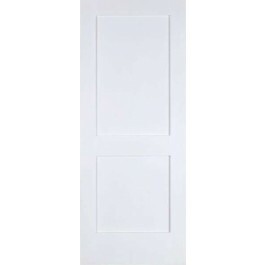 ETO Doors sells interior and exterior doors along with accessories. It has instituted initiatives that will help to make the creation of their doors more environmentally-friendly. If you are looking to extend the length of your sofa cushions because you bought the wrong pieces of foam that end up being too small, you can glue the two together. By doing so, you will save the trouble of having to go through ordering another piece of foam and also save money. Here is a quick guide on how you can quickly get this process done with both small and large foam pieces. Before you begin gluing, make sure that the area that you plan to work in is covered with some newspapers or tarp to prevent any damage from the spray adhesive. The first thing you’re going to want to do is to take your two pieces of foam and cover the adhering pieces with spray adhesive. A couple of layers of adhesive should do the trick. Following that, wait about 10-15 seconds, this allows the glue to become tacky. Your next step will be to align the two pieces of foam that need to be glued together. Once you have them in place, go ahead and firmly press them together for about 5 seconds. Be sure not to let the foam sink in as it can create problems with the placement. Once the pieces of foam are sticking together allow them to dry for about 10 minutes, and your foam will be ready for placement. 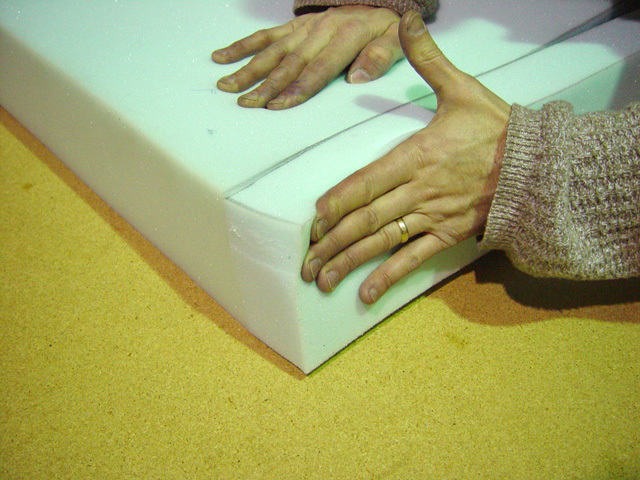 While the method for large foam pieces is similar to the one mentioned previously, there are some different techniques that you should apply to ensure that the glue stays on. Follow the same method that was listed above when you spray your adhesive on your foam. After the foam is covered with the glue, you will want to firmly press the two large pieces together. Next, instead of holding the two pieces together, you’re going to want to pinch the foam right where it has been glued. Try to pinch the foam with a good amount of force, but not an overwhelming amount because the foam will end up ripping. Once the top of your foam cushion has been pinched throughout, flip it over to the other side and repeat the process. This is to ensure the glue meshes with both ends of the foam. Because you are dealing with larger pieces, less force is required to separate the two because of the weight of their back end. Allow the glue to dry, and your large foam cushions are ready for use. Visit TheFoamFactory.Com for a wide variety of foam products. Their cushion foam is of high-quality and provides the best comfort and support for your needs. Take a look at their inventory today. safes in are those rated as TL30 or those designed to be tool-resistant for up 30 minutes. TL 30 safes offer good enough protection against hand mechanical or electrical tools used in lock picking or forcibly opening a safe through the door or the walls. In general terms, they provide moderate protection. They can resist grinders, power saws, carbide drills, cutting wheels, and various devices that apply pressure. However, you may want to know when these safes will be enough and when you may need to consider something more secure. If you need a safe for your home or small office, those under class TL 30 are usually enough . 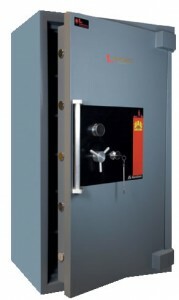 These safes are usually combination locked safes (mechanical). Some security experts opine that these safes are good for securing items valued at a quarter of a million dollars to half a million dollars. Those that offer tool-resistance protection on all 6 sides (x6) are preferred for storing more valuable items but they are more expensive. By the way, if you see a safe classified as TL 30, it usually means that its 30-minute tool-resistance feature only applies to the door as opposed to TL30x6 safes that guarantee tool resistance on all 6 sides. Still, you can make a TL30 as good as a TL30x6 by having it embedded on your wall or floor. Consider TL 30 if you are securing documents, a minimal amount of cash, jewelry, data storage media (flash, DVDs, or hard drives), and other important items. Bear in mind, though, that not every TL 30 is alike. If you want to safekeep documents on your TL 30 unit, you may want to look for something that offers fire and water protection. This type of safe should provide enough time for you to retrieve your documents in good form within at least an hour. The fire and water protection will not be absolute so you still have to expeditiously take the safe away from the burning or flooded building. It’s also worth emphasizing that safes in the TL 30 class with fire protection should not be equated to torch-resistant units (TR). The fire protection feature is only aimed at temperature control, to prevent the items inside the safe from excessively heating up and burning or melting. Torch resistance (TR) infers the ability of the safe to withstand the damage of a blowtorch up to a certain period of time. For moderate home and office protection needs, getting a TL 30 type of safe should already be enough. You can store up to half a million dollars worth of items in them. You can find different designs and sizes to suit your needs and preferences. Be sure to spend some time researching the different options you have so you can do comparisons and choose the safe that matches your needs and is offered at a price you can afford. It’s no secret that the construction industry costs money before you can make money, but there should be a limit to the amount of needless spending that a project accumulates. Every time a project planner puts together a change for the plans, or if supplies fail to arrive on time, the owner of the project will end up paying more than what they have anticipated. Fortunately, there are some simple steps you can take to manage construction claim preparation efficiently or avoid them altogether. One of the common problems crews run into is documentation. For inexperienced crews, documentation can often take a back seat to getting actual work done. Construction consultants have to be excellent record keepers because those documents will come back during a dispute. Documents outline everything, from the project plan to contracts for specific materials. Failure to track your documents is a liability, and will end up costing you in the long run. It may not be this project, but sooner or later you’re going to need to show proof that you have done something or ordered something. Documentation is crucial. Another common problem on construction sites is the issue of getting schedules done well enough in advance to predict what might change on the ground. If you work in an area with four seasons, for instance, you might need to plan for days where you’ll be snowed in. There are also excessive overtime requests that could result in “over manpower.” It’s not easy to judge how much manpower you’ll need throughout the project, and you can’t predict which deadlines will present the most stress. A good project manager needs to balance the deadline for a project, and structure operations so that nothing overlaps or lags. Every day that construction can’t happen is a day that everyone loses money. You should also consider scheduling inspectors, especially for permit issuing, well in advance and plan your changes accordingly. Even seemingly small changes may necessitate a new inspection. Construction claims management is both an art and a science. Every case will present new challenges, but much of the conflict boils down to the same thing. The disputes differ only in detail most times. That’s why good consultants can save crews money and time. They know which documents to keep, how to create a solid filing system, and they can offer advice on scheduling that might not otherwise occur to the project manager. Installing new marble or tile medallions is a great way to update your property and inject style into your home. But with so many designs and materials available, selecting the right medallion can seem overwhelming. Do you want one large floor medallion or a few spread out evenly throughout the floor? Do you want the natural beauty of travertine or marble floor medallions or would you prefer a low-maintenance surface such as linoleum? Some medallions are created for use on floors, while others also work as backsplashes. When it comes to upgrading your floors, make sure to purchase floor medallions. To help you find the best floor medallion for your home, here’s a look at the options available on the market and the cost for each. Select the material of your choice. Ideally, you want to select a floor medallion that is made of the same material as your floor. But this is a rule that can be broken. Floor medallions are available in marble, granite, travertine, or can also be custom made by the material of your choice. Selecting a material depends on your budget and maintenance recruitments. While natural stone medallions are beautiful, they are also porous and might be stained easily. For this reason, natural stones such as travertine require regular maintenance, including sealing. Marble is also a great choice for floor medallions, but it’s important to remember that it’s a soft material that is vulnerable to scratches. To maintain marble medallions, simply have it sealed regularly. Select the design and shape of the medallion. Floor medallions are available in a variety of designs and shapes. Designs include everything from Italian-inspired motifs to Renaissance patterns and mosaics. You can also find classic Tuscan motifs, Spanish motifs, and other designs inspired by countries or popular destinations around the world. The key to selecting the right motif is to match the style of your home. If the majority of your home features Renaissance architecture and/or furniture, consider purchasing a floor medallion that features a traditional Renaissance motif. When it comes to shapes, there is also a myriad of choices to be had. Floor medallions are available in circle, square, oval, and rectangular shapes. Selecting the right shape depends on how much room you have for the medallion and personal preference. It might also be helpful to have an interior decorator select a shape that complements the area in your home. Choose a color scheme. Finally, consider the color scheme of the medallion. Ideally, you want to select a color scheme that matches the rest of your home. However, it’s also important to feature colors that will stand out from the rest of the flooring. After all, the point of a medallion is to create a statement piece that will enhance your property. This feature article has been sponsored by Medallion Depot, an online retailer of high-quality marble medallions, floor medallions, backsplashes, and borders. Visit the website to view an online catalog of residential and commercial medallions.